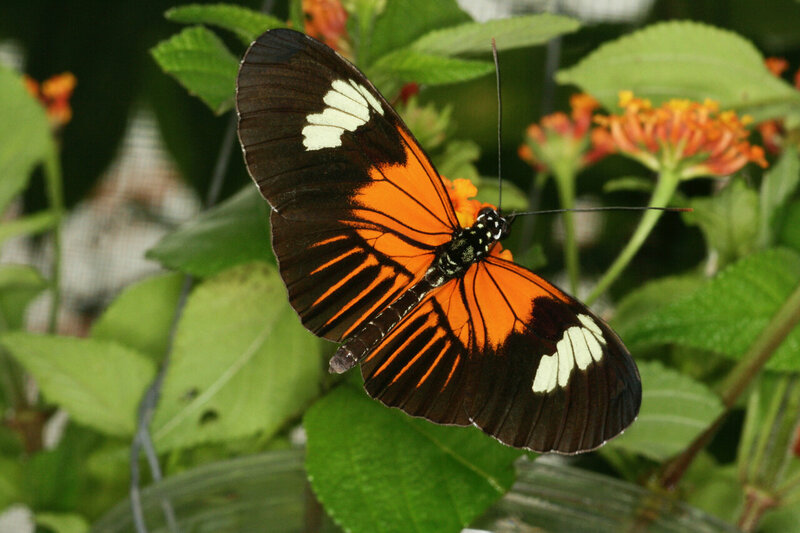 Professor Chris Jiggins, one of the lead authors on the paper and a Fellow of St John's College, said: "There has previously been lots of research done on finding genes for things like colour patterns on the butterfly wing, but it's been more difficult to locate the genes that underlie changes in behaviour. "What we found was surprisingly simple—three regions of the genome explain a lot of their behaviours. There's a small region of the genome that has some very big effects." 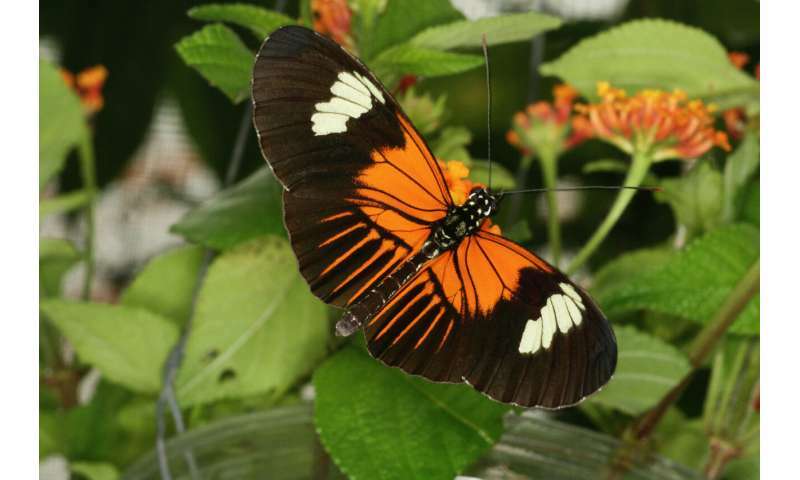 The male butterflies were introduced to female butterflies of two species and were scored for their levels of sexual interest directed towards each. The scientists rated each session based on the number of minutes of courtship by the male—shown by sustained hovering near or actively chasing the females. Unlike many butterflies which use scented chemical signals to identify a mate, Heliconians use their long-range vision to locate the females, which is why it's important each species has distinct wing markings. 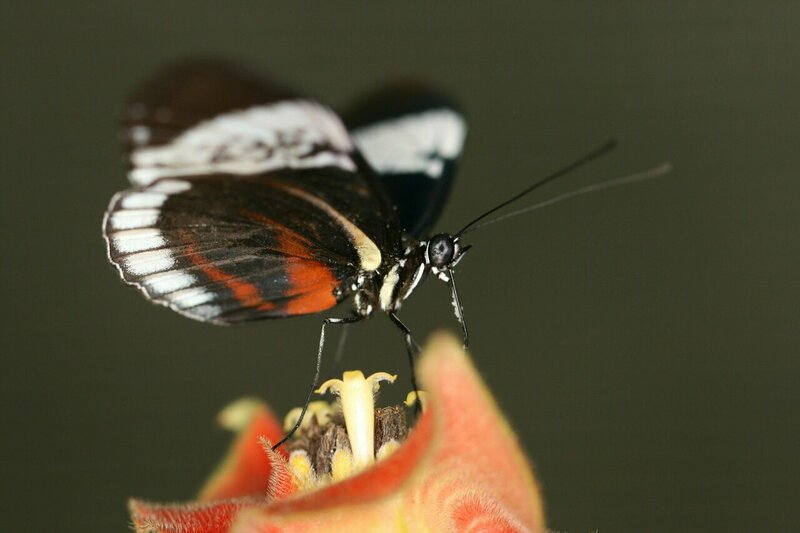 Dr. Richard Merrill, one of the authors of the paper, based at Ludwig-Maximilians-Universität, Munich, said: "It explains why hybrid butterflies are so rare—there is a strong genetic preference for similar partners which mostly stops inter-species breeding. This genetic structure promotes long-term evolution of new species by reducing intermixing with others." The second study investigated how factors including mate preference act to prevent genetic mixing between the same two species of butterfly. They discovered that despite the rarity of hybrid butterflies—as a result of their reluctance to mate with one another—a surprisingly large amount of DNA has been shared between the species through hybridisation. There has been ten times more sharing between these butterfly species than occurred between Neanderthals and humans. 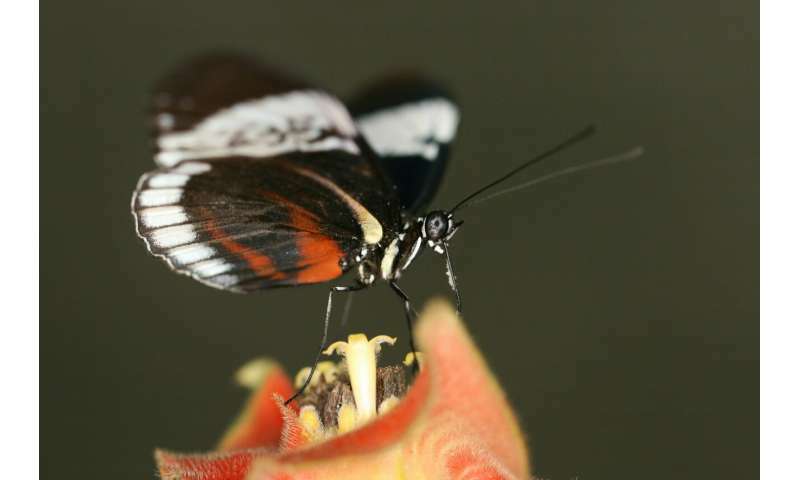 Dr. Simon Martin, one of the authors of the second paper, from the University of Edinburgh, explained: "Over a million years a very small number of hybrids in a generation is enough to significantly reshape the genomes of the these butterflies."